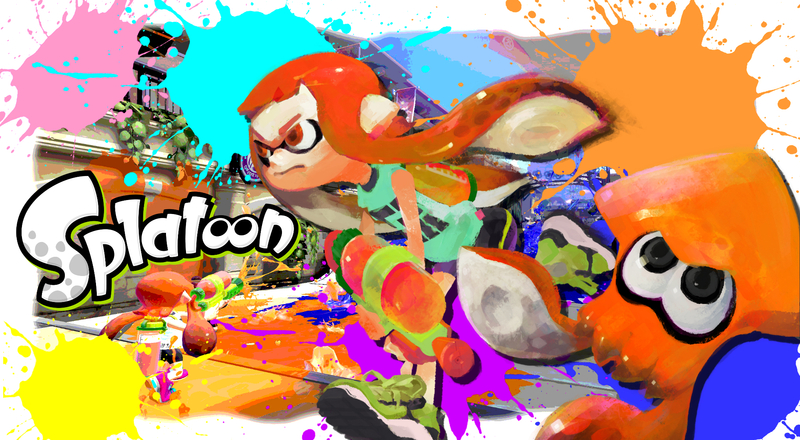 Splatoon helps the Wii U continue to gain momentum. The game, which is the latest Wii U title from Nintendo, launched May 29th in North America and Europe, and one day earlier in Japan. Sales numbers are not yet available for North America or Europe, but we have the sales figures from Splatoon’s first 2 weeks in Japan thanks to Media Create. And the numbers are hot. Splatoon sold 145,000 week 1 and 69,000 week 2. This puts Splatoon’s release right behind Super Smash Bros. and ahead of Super Mario 3D World – but that’s not all. The news gets even better for Nintendo, as hardware sales have seen a dramatic increase in the 2 weeks since Splatoon’s release. Wii U sales were increased by 133% week 1 and another 20% during week 2. The continued growth in week 2 shows a lot of promise for the title. But wait, there’s more! Splatoon has also provided a bump in software for Nintendo. Nintendo is selling more software to accompany those hardware sales. Evergreen titles like Mario Kart 8 and Super Smash Bros. have increased sales by 102% and 21% respectively. I don’t know yet if we are witnessing a Sonic-like effect, dear readers. In 1991 his debut increased sales for the SEGA Genesis over the 2nd half of its life span, but I’m ready for an exciting summer because it sure is reminiscent. This entry was posted in News and tagged Nintendo, Splatoon, Wii U. Bookmark the permalink.